Are you expecting and craving to eat duck meat during pregnancy? Do you want to protect your unborn baby from birth defects? 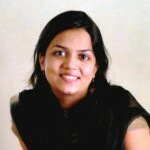 If you said yes, read our post to know whether can pregnant women eat duck meat or not? 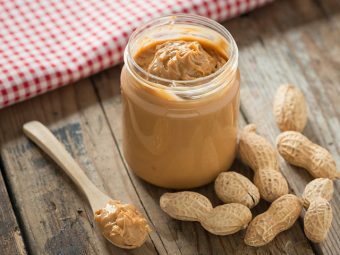 Pregnancy is a delicate phase, and so you need to be careful while eating anything. You may get unsolicited advice from lots of well-wishers about which diet to follow, and the contradictory opinions may confuse you. 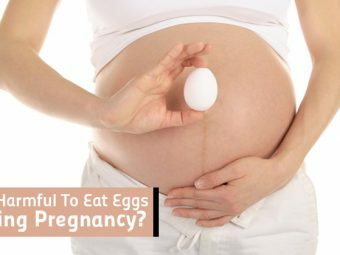 If you want to learn whether eating duck while pregnant is safe, read our post and resolve your queries here. Can Pregnant Women Eat Duck Meat? Lots of individual worldwide enjoy duck meat as a delicacy. History reveals that humans have consumed duck meat for more than 4,000 years, particularly in Yuan dynasty in China. The style of cooking duck meat varies from region to region. 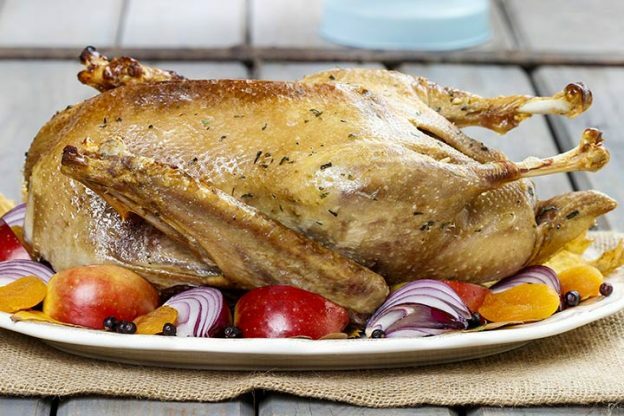 Also, duck meat is highly nutritious and offers several nutritional benefits to expecting mothers (1). Duck meat helps increase your protein intake during pregnancy. Duck offers you plenty of proteins including all sorts of amino acids that are necessary to help you have a balanced, nutritious diet. Every 2.5 ounce serving of the duck meat provides approximately 18 grams of proteins. A good intake of proteins during pregnancy helps you develop immunity to various diseases, maintain your skin healthily and radiant, maintain healthy tissues, and good health of your unborn baby (2). Duck meat is an excellent source of mineral zinc. Every 3.5 ounce of duck meat provides your 1.9 milligrams of zinc, which is approximately 24% of recommended daily intake for women. Zinc plays a vital role in triggering and functioning of the enzymes that are crucial for healthy, effective cellular metabolism. Also, zinc strengthens your immune system substantially during pregnancy (3). Duck meat also contains high amounts of mineral selenium. Every 3.5 ounce of duck meat offers 14 micrograms of selenium, which is approximately 25% of your recommended daily intake of the mineral. 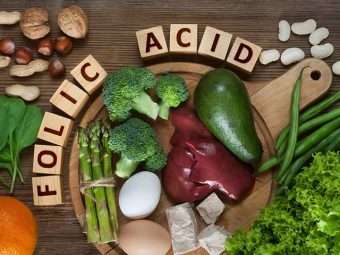 Selenium plays an active role in regulating several enzymatic functions in your body during pregnancy. The mineral supports thyroid functioning thus prevents the risk of thyroid problems during pregnancy. Duck meat is a rich source of vitamin B5 and vitamin B12. One serving of duck meat contains 1.6 mg of vitamin B5, which is 32% of the daily intake value of the vitamin. Also, one serving of duck meat contains 0.4 mg of vitamin B12 that is 12% of the recommended daily intake of it. Both the vitamins promote the functioning of your nervous system during pregnancy. Vitamin B5 helps produce chemicals that play a vital role in nerve signaling. Vitamin B12 offers you good protection from nerve damage during pregnancy as well as prevents the risk of birth defects in the unborn baby (4). Your body needs a lot of hemoglobin or red blood cells (RBCs) during pregnancy to keep you and your unborn baby healthy. Duck meat is rich in iron, which helps boost hemoglobin production. So, consuming duck during pregnancy helps you boost RBC count and prevents the risk of anemia (5). Yes, pregnant women can enjoy duck meat, but the condition is that you should cook it well. It is advisable to cook the duck to at least 165°F before consuming it during pregnancy. You should avoid eating undercooked or raw duck since raw or undercooked meat might possess harmful bacteria that can result in serious pregnancy complications and harm the fetus. Also, consult your doctor before you consume duck meat (6). Did you enjoy eating duck meat while expecting? How did you benefit from it? Share your experience with other moms-to-be. Leave a comment below. Is It Safe To Eat Sausage During Pregnancy? Is It Safe To Eat Cheesecake During Pregnancy? Is It Safe To Eat Mussels While You Are Pregnant? Is It Safe To Eat Pancetta During Pregnancy? 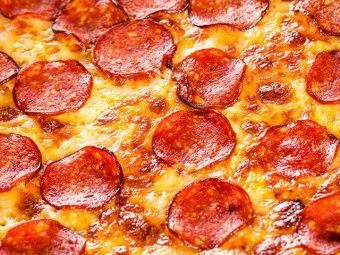 Is It Safe To Eat Pepperoni While You Are Pregnant? 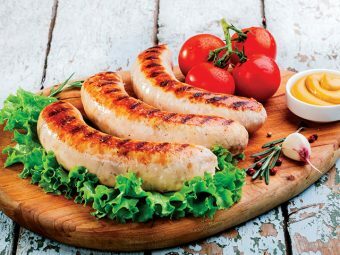 Is It Safe To Eat Bratwurst During Pregnancy?